A classy hairstyle is very important when you wear an Anarkali suit. That would make you look like a diva altogether and you would be showered with compliments for sure! Hey, but which are the best-suited hairstyles with Anarkali suits? 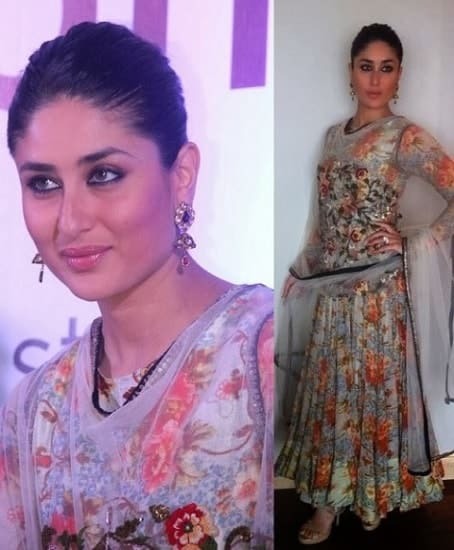 Talk about ethnic wear, and one outfit that wouldn’t skip your mind for once will be an Anarkali suit! Its elegance and design alone have the power to make you stand out in a crowd of a thousand others. While dressing up is undoubtedly an integral part before you step out of your house, you should remember that there’s something called a bad hair day as well! Straight hair will probably never go off the board! When you choose to wear a heavy Anarkali suit, keeping everything else including your makeup and hair minimal will surely help you earn brownie points. Simply take a straightener and do the trick! Don’t forget that middle partition though! It’s trending. A Ponytail is probably the quickest and one of the easiest hairdos that you could manage in less than a minute and yet look oh-so-stylish! This one, however, has a difference in the sense that it’s a middle part ponytail. All you have to do is to make a middle partition using a comb and grab the rest of your hair at the back and tie it with a rubber band. Are you one of those girls who love to leave their hair open and not care about a thing? Well, Anarkali suits and long hair are the perfect combos we tell you! Simply bring your hair to one side and let it flow. Team the suit with long earrings and you’ll glow like a queen, trust us! If you prefer lehenga, try these hairstyles with lehenga. You’ve heard of messy hair-don’t care, haven’t you? Well, this is messy hair with an astonishing twist! 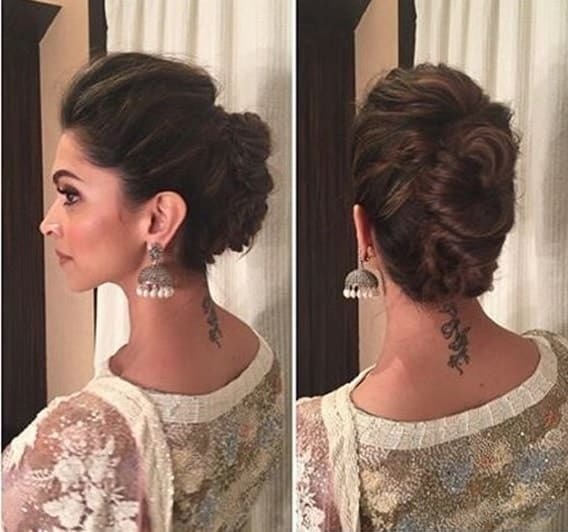 This time it is accompanied by a beautiful bun at the back to help you flaunt your Anarkali’s cut/design at the back. Anarkalis are designed in a way that they bring all the attention to your bust. Spice your look a li’l more by styling your hair in the ‘puffy’ style. Simply brush up your hair and make a puff, and leave the rest open, or tie a ponytail, or maybe a bun and you’ll be good to go and steal all the attention! The fishtail can never go wrong (maybe you’ll require a professional’s help for this one though!). 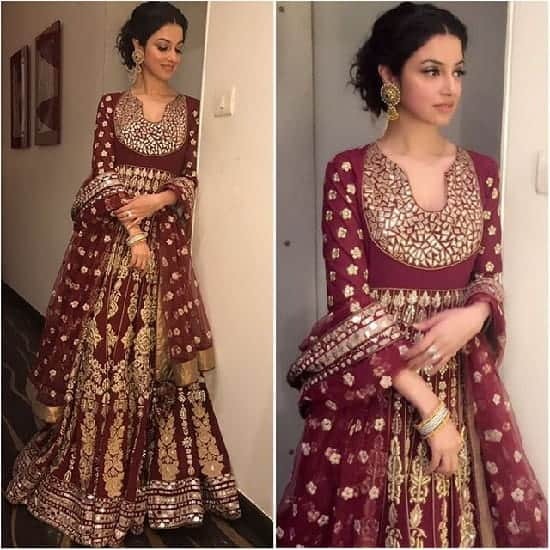 When your Anarkali suit has a deep cut or a wide neck, a fishtail braid on one side can add more highlight to your upper body and help you fish for compliments at any party effortlessly. We bet this hairstyle with Anarkali suit that can never go out of fashion is without a doubt the loose curly waves. Did you know you can get these wavy curls easily at home using a straightener? Well, yes! You could look up tutorial sites and get this done in mins. Rock your Anarkali look with this super chic hairstyle. Brush your hair at the back neatly using a fine comb, and simply tie it up in a bun, and trust us, you’ll never look classier! When everything else seems difficult, this could be the easiest option, you know? You could also add hair accessories like a simple gajra (flower garland) or a fancy hairclip/band! Now that we have told you about these 8 dapper hairstyles with Anarkali Suits, go try them at the next occasion/party! Don’t forget to wear that confidence no matter what your dress and how your hair.